Smoothies have become a quintessential part of most people’s lives. And why not? They’re easy, they’re delicious, and you can pack so much goodness in one little glass it almost blows your mind. 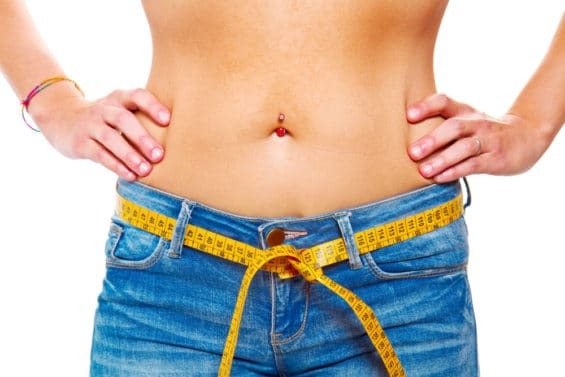 Whether you’re using smoothies to replace a meal, as a mid-afternoon slump buster, or power up for a busy day, one thing is certain: they have to be tasty. No one wants their smoothies to end up as a mouthful of inedible goo. 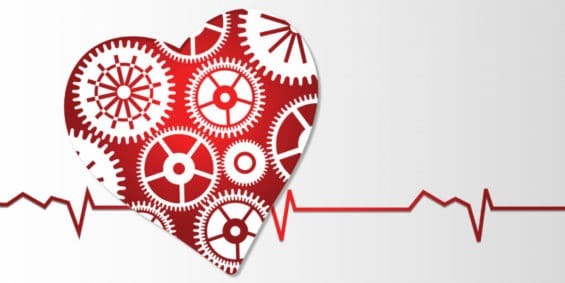 And if you like to include superfoods such as spirulina, chlorella, or other green powders, you know all too well what it entails to mask those super strong flavors. 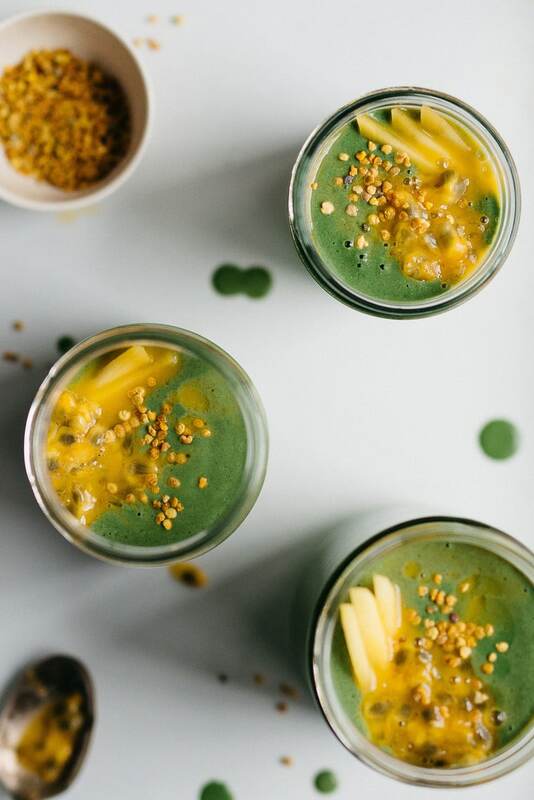 That’s why I’ve put together this list of amazing smoothies that include a range of different greens powders, along with our own Energy Greens superfood powder, which includes the top 3 green superfoods: chlorella, alfalfa sprouts, and barley grass, in addition to 5 other superfoods. You can literally use our Energy Greens in every one of these recipes, which saves you the hassle of buying every ingredient separately. This luscious smoothie gets its thickness from the abundance of bananas, and its potent peppermint flavor comes from food-grade peppermint oils. 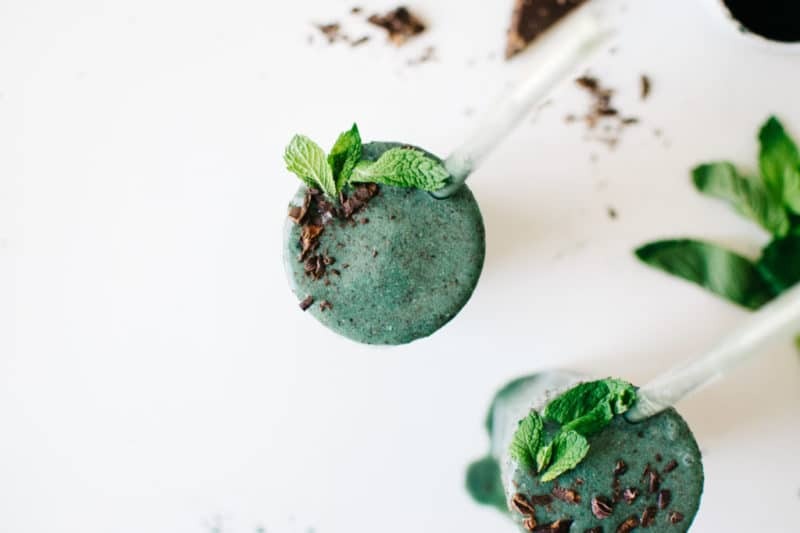 The mint chip deliciousness of this smoothie will remind you of your favorite ice cream when you were a kid. 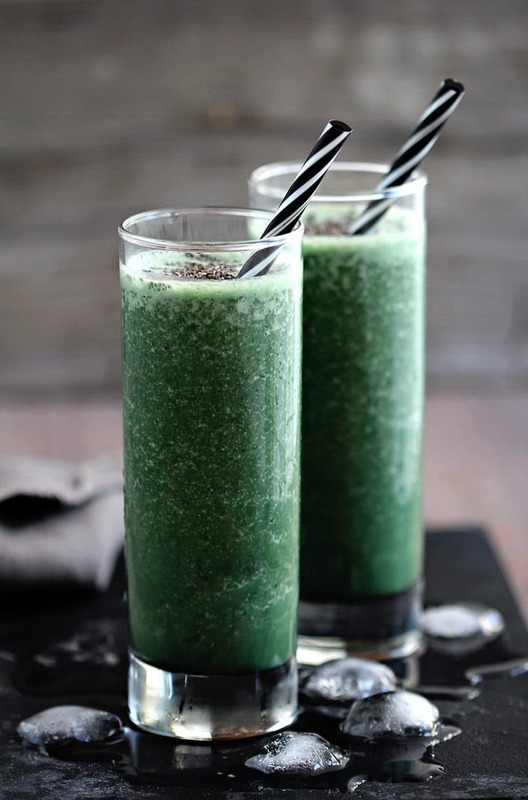 A powerhouse of green goodness, this smoothie features young coconut meat and a little liquid stevia to lessen the flavorful blow of spirulina and chlorella. The flavors of banana and vanilla are smooth and delicious. 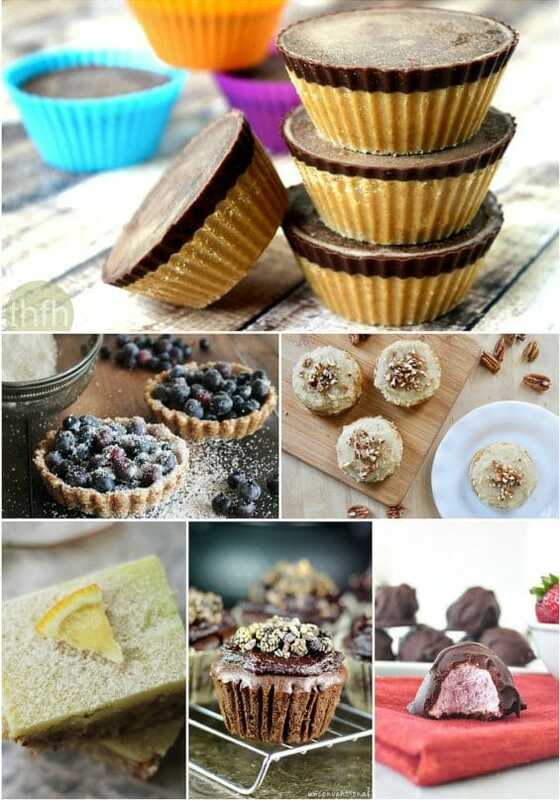 Add some chia seeds for an extra-thick texture. 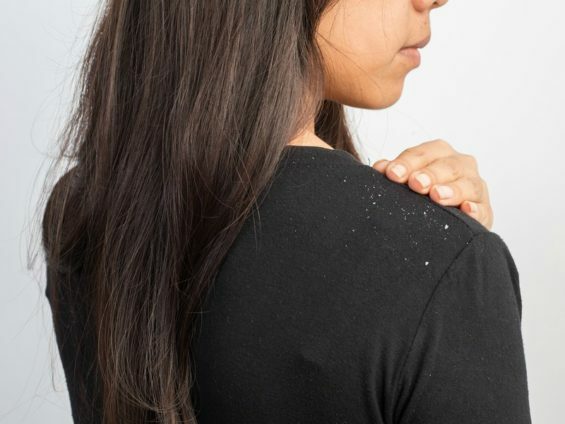 Did you know how easy it was to make your own cashew milk? Forget the store-bought stuff because this smoothie has you covered. Steering away from the minty flavors in the recipes above, this one uses mango and orange to take you on a tropical journey. 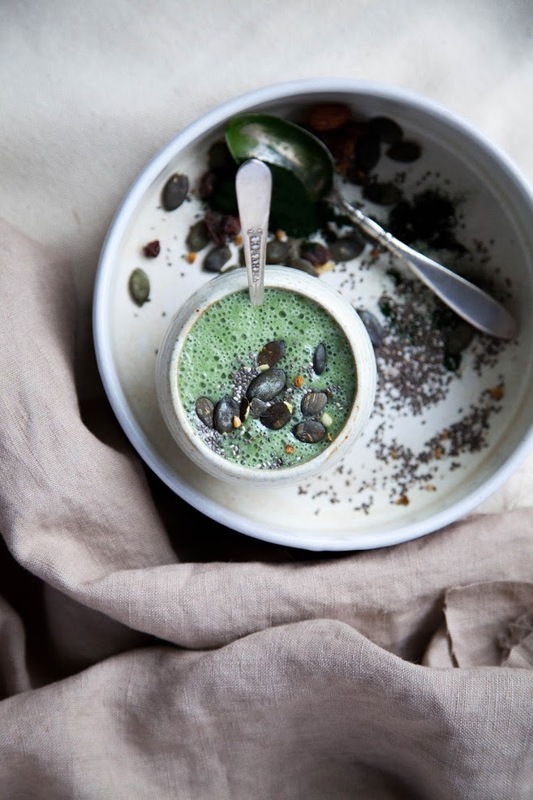 Try it with or without the chia pudding and enjoy. 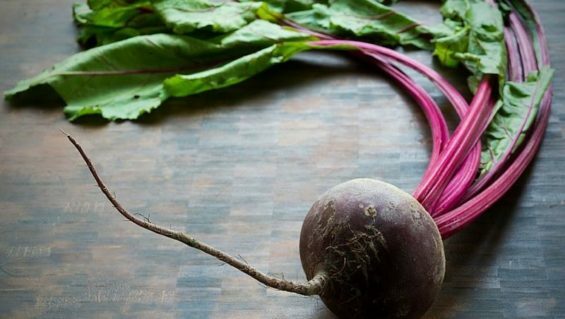 Yes, the name of this smoothie is a little weird but this smoothie is a refreshing treat. 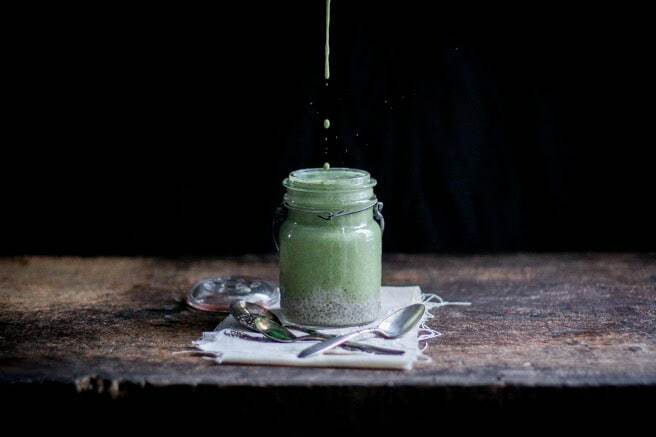 With a whole host of healthy ingredients including maca powder and spirulina, this tropical smoothie utilizes a homemade hybrid milk of sesame and hemp seeds. Although it has a smooth coconut-banana flavor, you can add some fresh or frozen fruit for more flavor, which will also fortify this smoothie with antioxidants. As the name suggests, this tart smoothie is refreshingly delicious. Sweetened naturally with fresh lemon and lime juice, as well as tart green apples, you can also add the optional bee pollen for an additional nutritional boost. Tahini isn’t just for hummus, and in this smoothie it adds a creamy, nutty slight-sweetness that is just perfection. A customizable smoothie, you can swap almond milk for coconut milk, add chia seeds, or really build flavor with cinnamon, or cocoa powder and nut butter. Delish! With flavors similar to a nutty cinnamon banana bread, this superfood smoothie is for certain a pleaser to those with a picky palate. 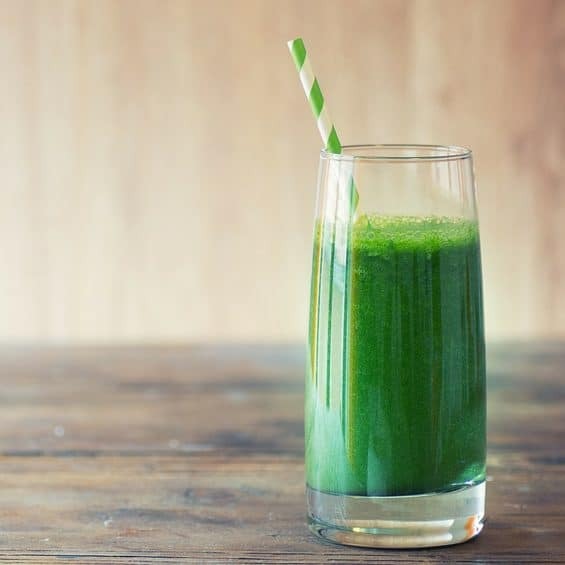 Similar to the Green Tart Smoothie, this delicious drink uses green apples, but adds some mango and fresh ginger for a fun zing. 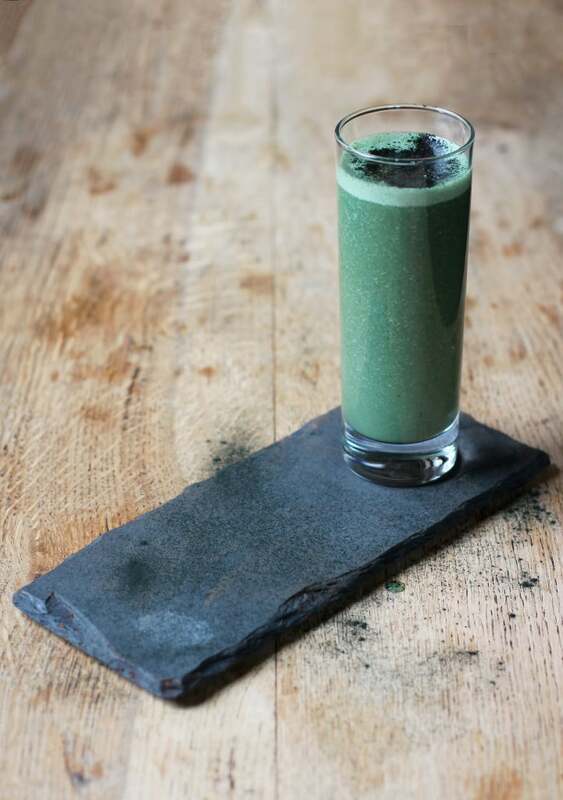 Raw ginger also has a powerful flavor that is perfect for overcoming the strong flavor of spirulina. 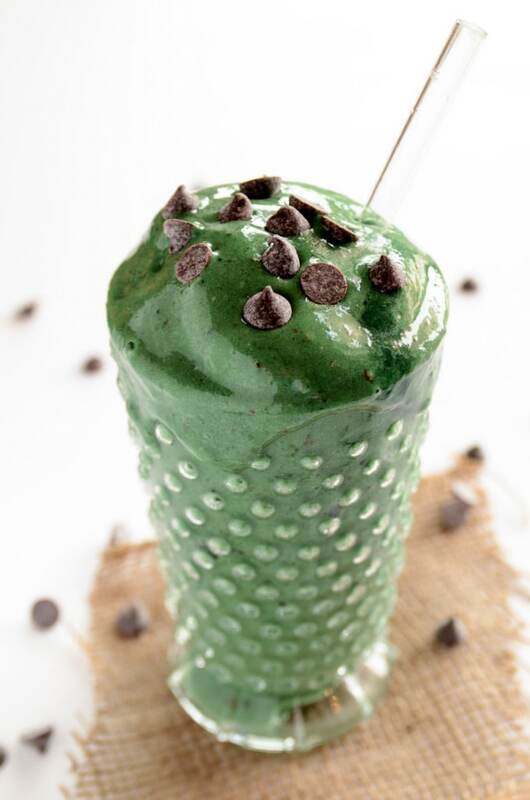 Shredded coconut, non-dairy milk, and frozen banana all round out this fantastic smoothie that is all about soothing the soul with a classic mint chip flavor, without filling your body with junk. Talk about a win-win. 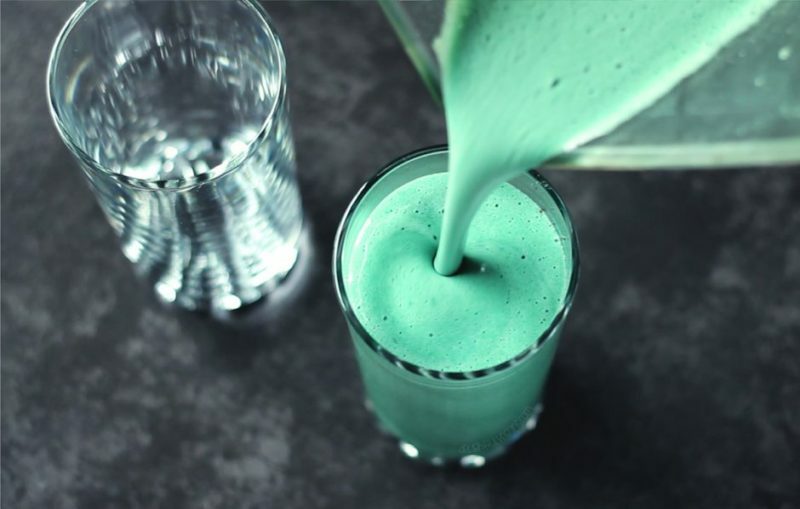 Probably the easiest to make of all the smoothie recipes in this list, this smoothie is vegan powerhouse of protein thanks to the spirulina and vanilla protein powder. The mild flavors of banana and rice milk really make this smoothie a creamy and delicious delight. You’re just six ingredients away from a creamy smoothie that tastes like bananas covered in nut butter. Who didn’t snack on that as a kid? It’s great to be an adult and enjoy that flavor while still getting an extra nutritional boost on top of it all. Beautiful and delicious, this smoothie is filled with the creamy sweetness of banana and almond butter, as well as a touch of smooth maple syrup. This one will end up on your favorites list. 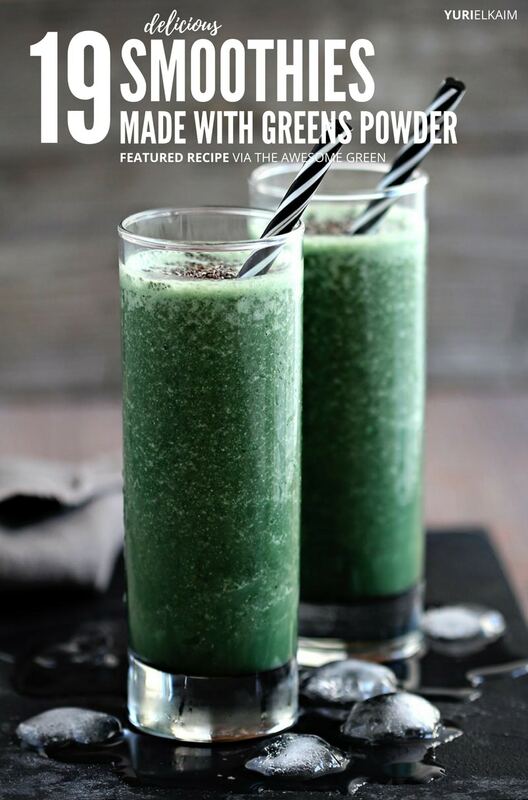 We recommend using an unpasteurized, low sugar green juice to keep this smoothie as healthful as possible. Yum! 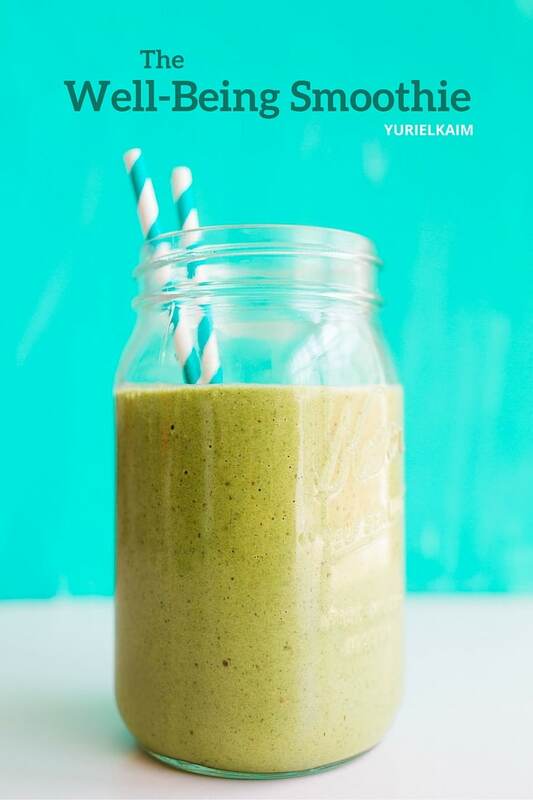 Going exotic with kiwi fruit and coconut water, this smoothie is simple and refreshing, and it’s perfect with some Energy Greens. Just toss everything in a high-speed blender and you’re ready for a tropical smoothie you won’t soon forget. 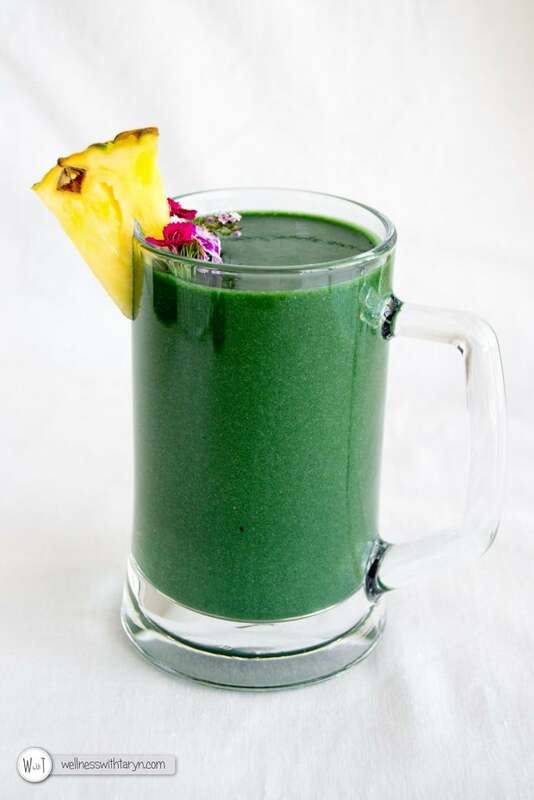 A beautiful dark green from spirulina, this smoothie takes you to the tropics with fresh pineapple, but brings you back to earth with the zing of fresh ginger. Banana and mango round out this drink for a smooth, sweet flavor that’s refreshing any day of the week. 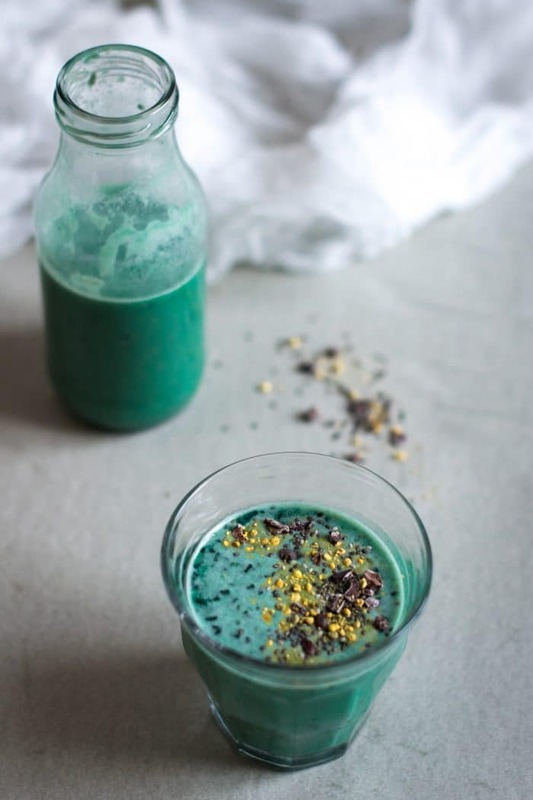 We love this two-toned smoothie, featuring coconut yogurt, maca powder, chlorella and spirulina, and of course, tons of flavor. The tangy pineapple and ginger of the bottom layer is complemented perfectly with a cinnamon-spiced top layer with the natural sweetness of Medjool dates. This delicious superfood smoothie tastes a lot like a banana split. Plus, it contains only 5 ingredients, making it quick and easy. 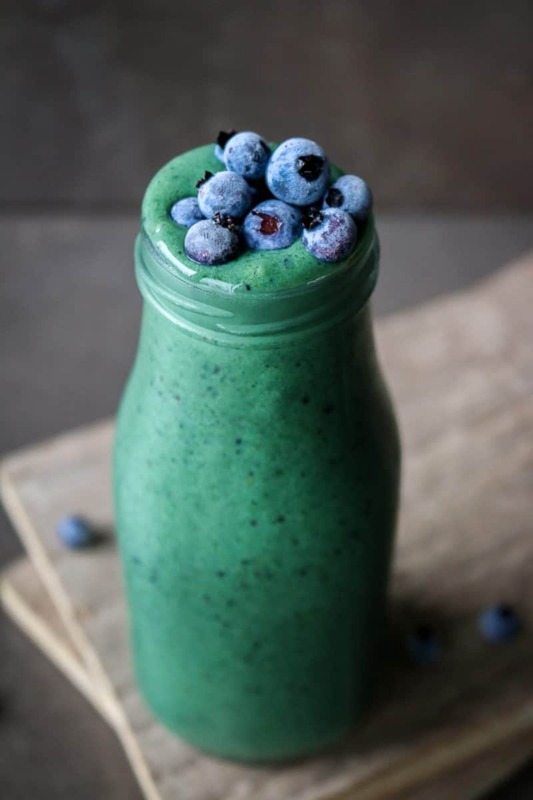 Using frozen blueberries adds the perfect creaminess for those who love a thick smoothie. 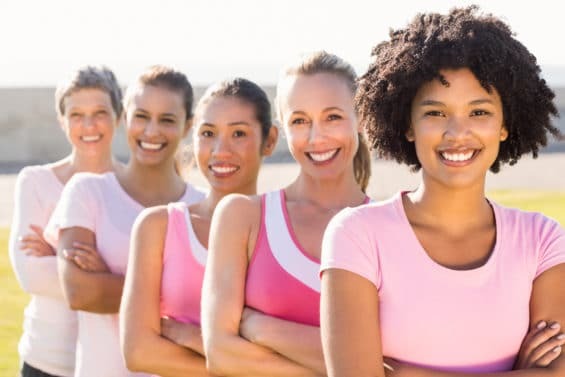 Full of flavor, this smoothie is especially healthy for women and their reproductive organs because it contains fennel and ginger. 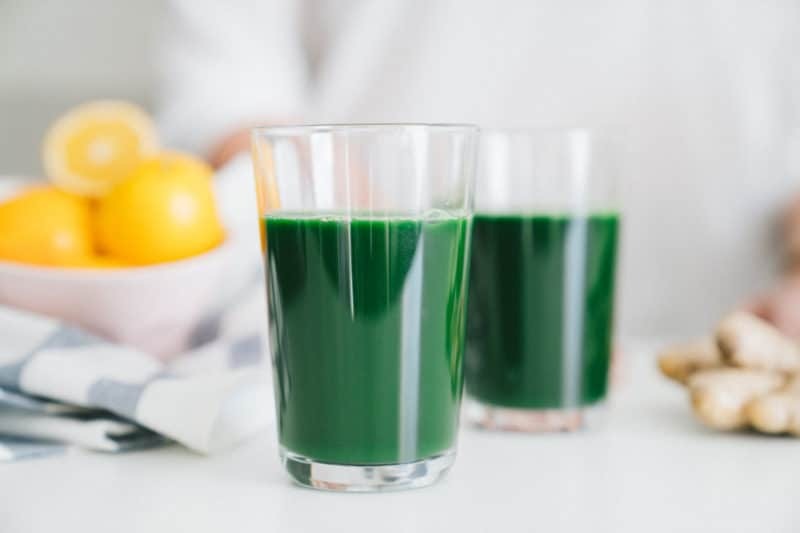 Don’t feel left out, guys, this smoothie is still full of nutritional deliciousness that you can enjoy, too, like ashwaganda powder and chlorella. Pineapple, banana, and lime really bring on the flavor of smooth citrus, while masking the superfood additions. This one is a must-try! 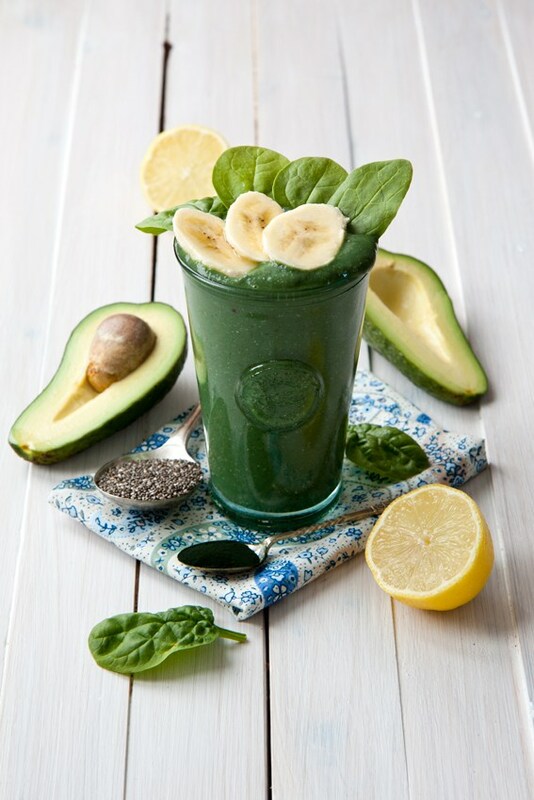 This super-thick smoothie is packed with healthfulness, with avocado, spinach, and spirulina taking center stage. Banana is the main flavor component, with lemon juice adding a tangy zing to put a pep in your step. If you prefer a thinner smoothie, you can easily add a bit more water. This one is not so much a smoothie, but it’s still too delicious to pass up. You don’t even need a juicer. 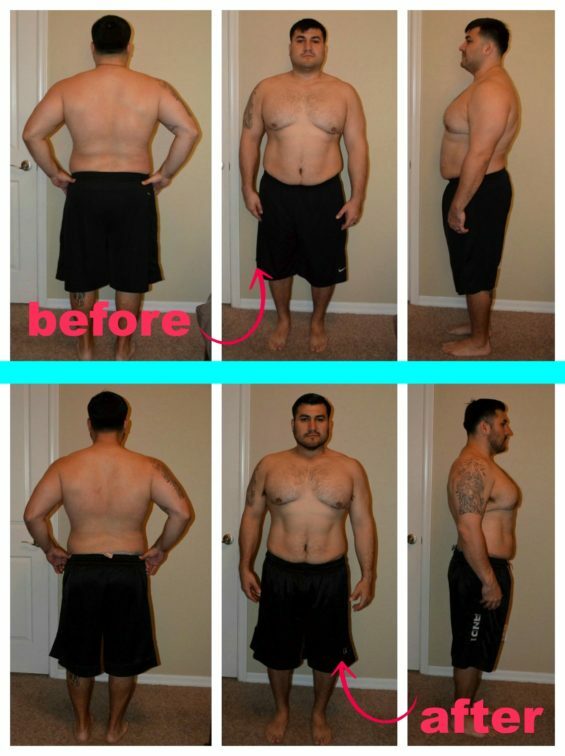 Just throw everything in a blender, strain, and drink up. 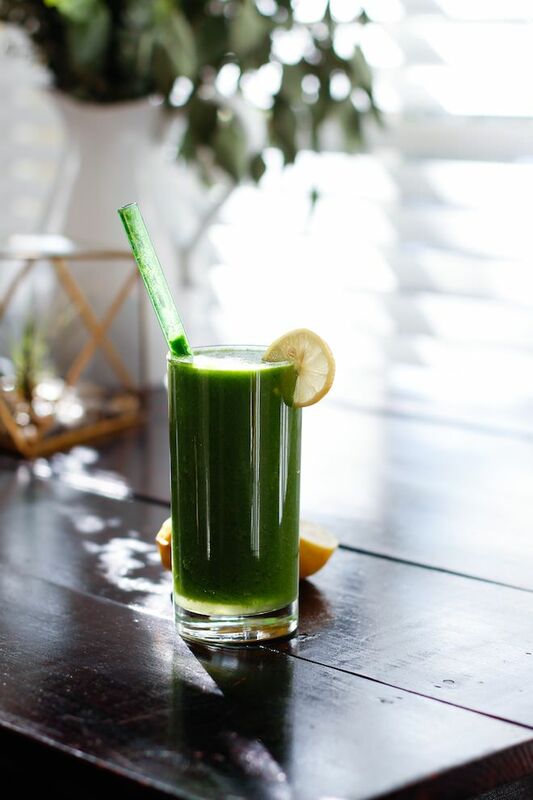 With the flavors of tart green apples and super sweet Meyer lemons, you won’t even notice the spirulina and kale, except for this juice’s signature green color. 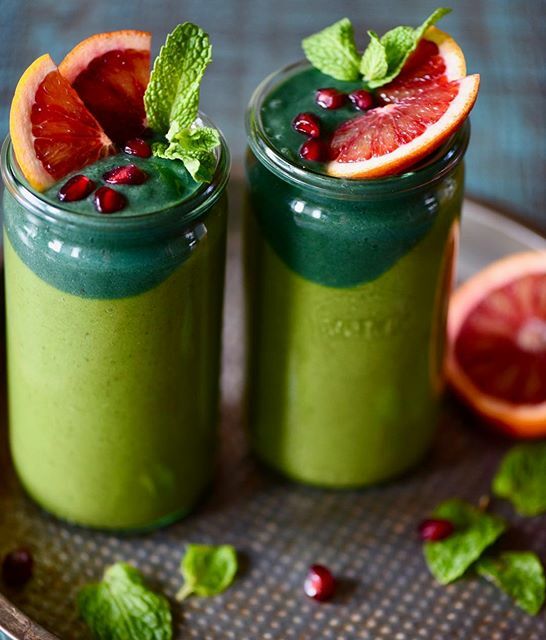 As you can see from this list of greens powder smoothies, there’s something for everyone, even those with the pickiest palates. They’re an easy and quick way to fuel your body with the nutrition it craves – and they can be downright tasty, too! 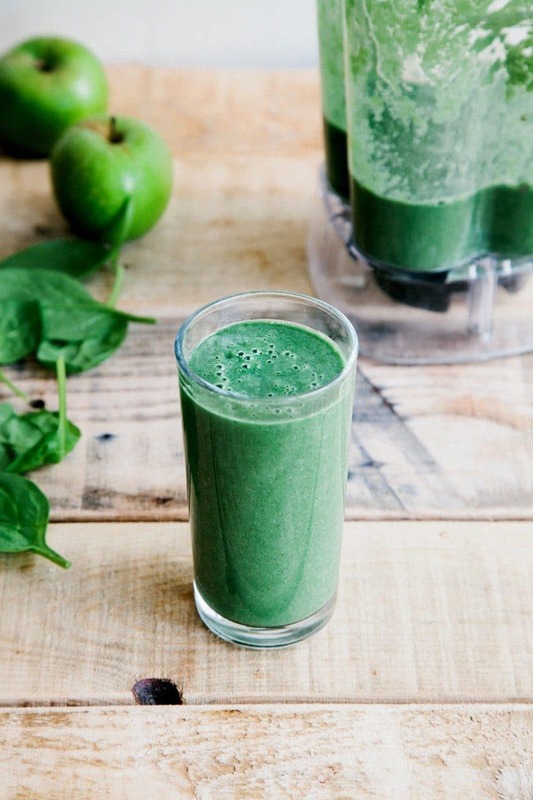 Want to know the secret to making a delicious green smoothie? 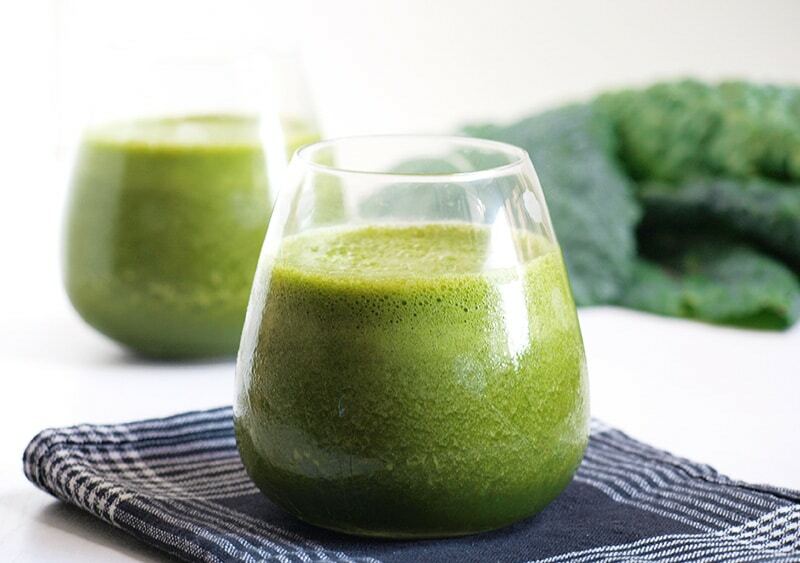 There’s a formula to blending a healthy and tasty smoothie, and we’ve outlined it for you in a 1-page Perfect Green Smoothie printable guide. You can get it – for FREE! 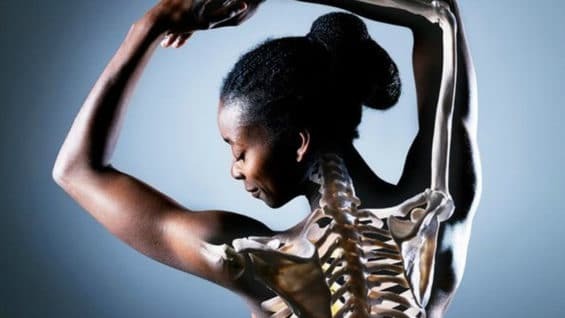 – right now by clicking the image below!